One of the most practical knots you'll learn to tie when working with leather cord is the sliding knot. It's also known as a coil knot or a barrel knot because of its shape. 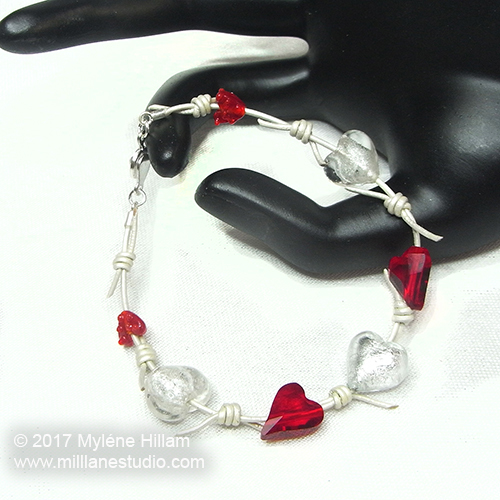 It eliminates the need for a clasp and end caps on bracelets and necklaces and is a great way to lengthen and shorten necklaces to suit your neckline. But it's way more than just a means of making adjustable jewellery - it's very versatile and it can be used in so many ways to add interest to your leather cord jewellery. Take a look at some of the many different ways it can be used and then scroll down to see how to tie a barrel knot. 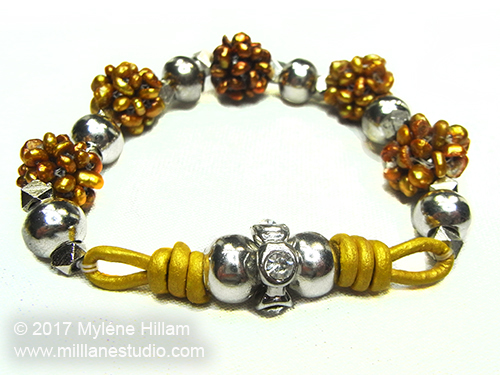 Use it to secure beads in the centre of bracelet or necklace. 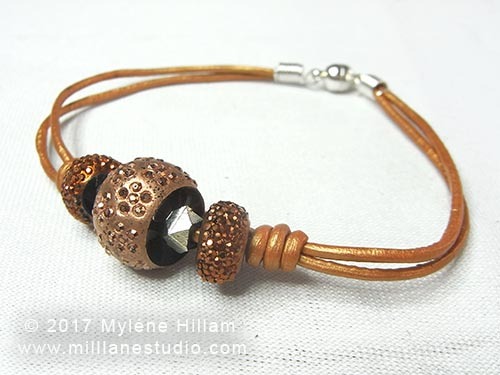 In this example, a barrel knot on either side of the focal beads keeps them from working their way around to the back of the bracelet. 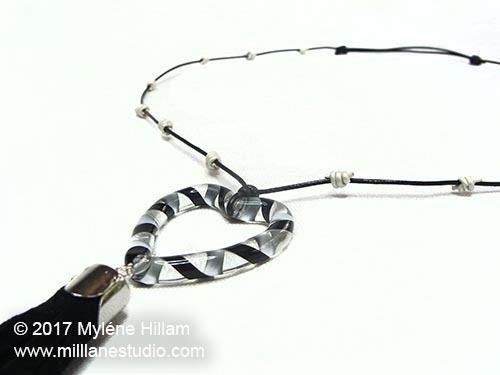 This necklace uses white barrel knots to give the plain black stringing cord some interest, without taking away from the focal beads. On this bracelet, the barrel knots are trimmed longer and at an angle to represent barbed wire. 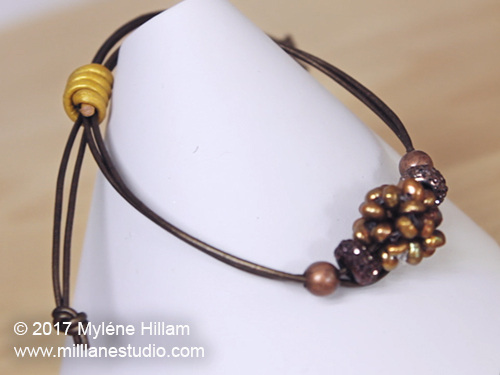 Create a loop in leather cord to hang from an earring wire. Then thread the cord with beads and knot to secure. 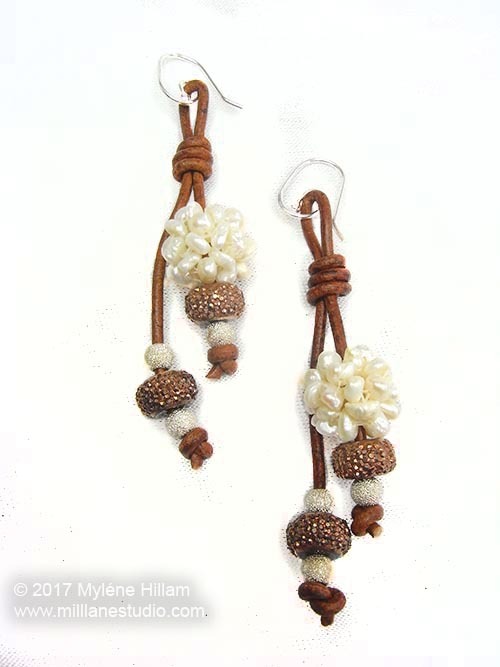 Create clusters of beads by stringing one bead on each cord and then securing them all in place with a barrel knot. Create a loop, string a bead and then create another loop and you have a link that you can connect to other components. 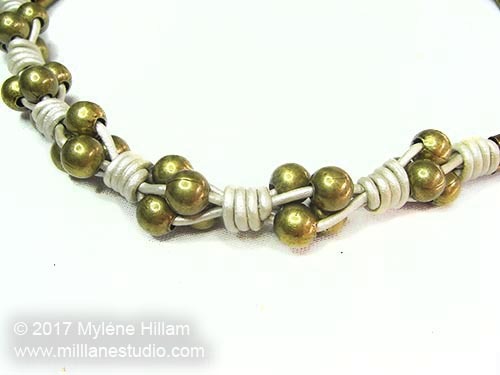 This link is attached to a length of beads strung on Stretch Magic. Keep an eye out for some tutorials on how to make these pieces in upcoming weeks but in the meantime, check out this short video from Silver Creek Leather which shows you how easy it is to tie a sliding knot.